Jared Bark: Photobooth Pieces brings together for the first time in print a body of work little known or seen for nearly 40 years, by the pioneering American performance artist Jared Bark (born 1944….The works are all reproduced at full scale and the book includes an essay by art historian Catherine Damman and an interview with the artist by Hannah Howe and Elizabeth Easton. 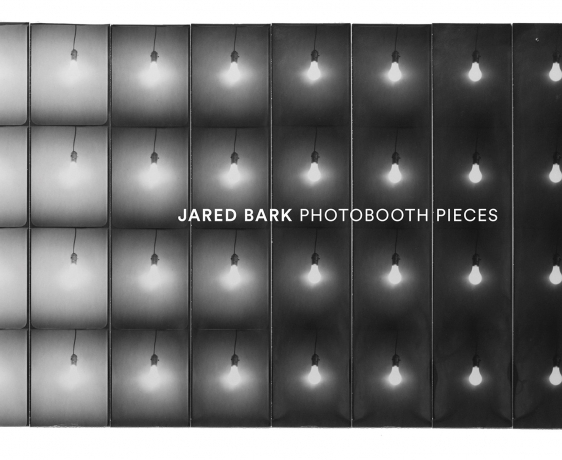 Jared Bark: Photobooth Works and Performance Videos, 1969-1976 is published on the occasion of Bark's Fall 2015 exhibition by the same name at Southfirst gallery (Brooklyn, New York) and Sarah Lawrence College (Bronxville, NY). The pamphlet consists of four previously unpublished texts: two descriptions of Bark's performance work (LIGHTS: on/off, 1975, at the Idea Warehouse, NY, and Zero-G, 1976, at the Whitney Museum of American Art) by theater historian Stefan Brecht, a letter by Jared Bark to the documenta 6 performance curator Joachim Diedrichs, and an essay by exhibition curator Maika Pollack. 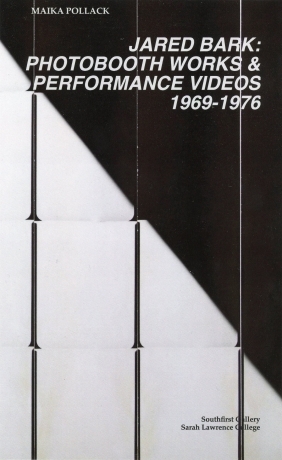 The publication's texts connect the legacy of serial photography with downtown performance and dance in New York during the late 1960s and early 1970s. Catalog. “Behind the Curtain—The Aesthetics of the Photobooth.” Musée de l”Elysée, Lausanne, Switzerland.